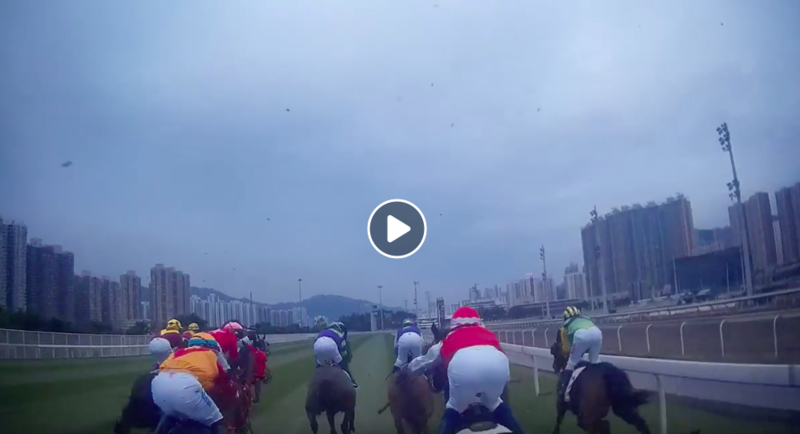 Team EP had a fantastic time in Hong Kong providing JockeyCam at the Longines Hong Kong International Races. A huge thanks to the Hong Kong Jockey Club and Salon Films for their support and a special thanks to all the jockeys and of course the equine athletes. EP Visual Director, Nathan Horrocks, spoke to Sporting Life about the emergence of JockeyCam and how the new angles of footage offered by the dynamic headcam put the audience where the action is, displaying the dramatic and tactical nature of a race – as Nathan likes to put it ‘these guys aren’t playing tiddlywinks’. Click here to watch Nathan’s interview with Sporting Life and catch a glimpse of the JockeyCam action here.